When I was going through my email inbox this morning all bleary-eyed (as is the case every morning), I was shocked to see an email from United with the words “eliminate” and “fees,” both of which are typical words coming from United, but are rarely seen together. I usually see something more like “United eliminates meals” and “new baggage fees.” I was looking for asterisks, small print, etc., but found nothing. So yeah, United actually eliminated close-in ticketing fees for award travel. Kudos to them! Why? Well, it’s certainly not out of the kindness of their heart. I think Cranky is spot on in his analysis. 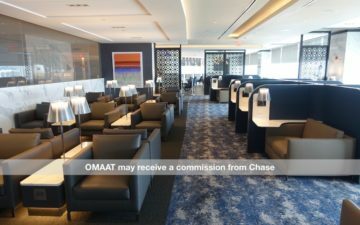 If people don’t use their miles on United and go elsewhere, United can’t charge them $100 to check two bags roundtrip, $9 for a “gourmet” sandwich, $6 for an adult beverage, $50 for Economy Plus, $25 for Premier Line, $60 for Award Accelerator, or $400 for a first class upgrade. 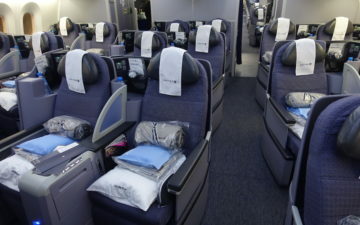 Along the same lines, when the airlines release award seats close to departure they would typically not otherwise be filled. Therefore United is getting people to cash in frequent flyer miles for otherwise empty seats, which is good for everyone. Anyway, while this wasn’t done out of the kindness of their heart, great job United! Well I never really expected United to make decisions just to be “kind.” What I do expect is for them to make decisions that make good financial sense for the airline and to keep in mind how their decision making will affect customer satisfaction and retention. This is one of several “smart” decisions United has made recently. If they keep making good decisions, maybe they will survive. Here’s hoping! Can you really use Award Accelerator on award tickets? @ chitownflyer — It is if you want it to be! @ FortFun — I believe the close-in ticketing fee came before most of United’s “travel options.” So in that sense, the introduction of new fees led to the elimination of others. Crazy…. @ HunterSFO — Good point, although to be clear, there are two types of “kind decisions.” There are those made to generate goodwill in the hopes of generating a return on “investment,” and those decisions that are just stupid to be nice. I don’t think this change fits into either category, and rather that they’ll see a pretty immediate return on investment. @ Mark — You can. Not sure why anyone would want to use Award Accelerator, but it’s an option. @ Mark – I just booked an award ticket and the website offered me award accelerator for the low, low price of $918 per person. thanks .bomb – LMFAO!!!! But the point being – it is possible. Has anyone actually purchased the award accelerator options? It annoys me that the “skip or continue without purchasing option” is in very small text next to the other options of purchasing these.